Earlier this summer, a unanimous vote successfully kept Khaled Hosseini’s The Kite Runner in Buncombe County, North Carolina, classrooms and initiated a necessary discussion about whether existing school policy about how to handle challenged books should be changed. In a board meeting last Thursday, that conversation concluded, and it was decided that teachers could continue to use materials that have been challenged in their classrooms until a final decision regarding whether or not the book will be pulled could be made. The call to update the policy came after the critically acclaimed book The Kite Runner came under attack by former board member and parent Lisa Baldwin for its inclusion in a 10th grade Honors English class. Objecting to the book’s depictions of “homosexuality and sexually explicit scenes,” Baldwin argued that the book was inappropriate for the class and should be pulled immediately. In response to the challenge, CBLDF joined the Kids’ Right to Read Project and other free speech advocates in submitting two formal letters defending the book. The book was discussed and approved by two review committees before the school board ultimately ruled that the book was appropriate for the honors class and was reinstated. 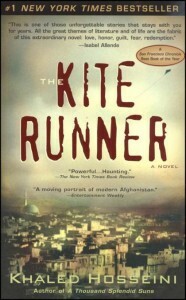 During the review period, The Kite Runner was pulled from classrooms, and students were give an alternative book to read. In the letters CBLDF signed, KRRP advocated for the continued use of the book pending review because the removal of books disrupts the classroom and students’ education. Buncombe County school board members were inspired to review and update the policy. The policy change is a victory not only for free speech advocates but also for the education system in North Carolina. The policy change limits the disruption in the education process, and teachers will be able to continue to teach their students until a diplomatic decision can be reached.